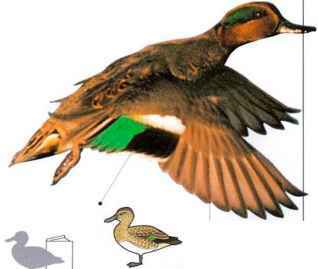 I his small dabbling duck often swims inconspicuously in shallow pools where marsh vegetation provides partial cover. 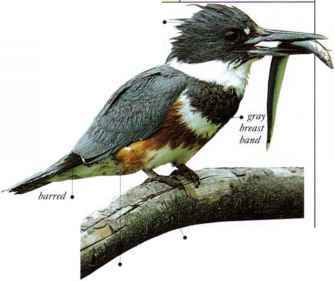 If disturbed, it rockets up from the water in rapid flight, revealing a green, white, and black w ing patch (the speculum). It feeds on a wide range of plants and small animals, mainly eating seeds in winter and animal food in summer. 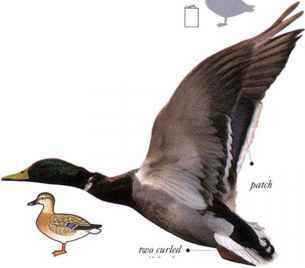 As in other dabbling ducks, males utter whistling calls, but females quack. • NliST A depression in dry grass, lined with down, among marsh plants. • distribution Breeds in North America and Eurasia. Winters as far south as Central America, Africa, India, and S.E. Asia.